We Quote & Build On Time! All Scaffolding' are specialists in Scaffolding and offer excellent 'Hire and Build' services. 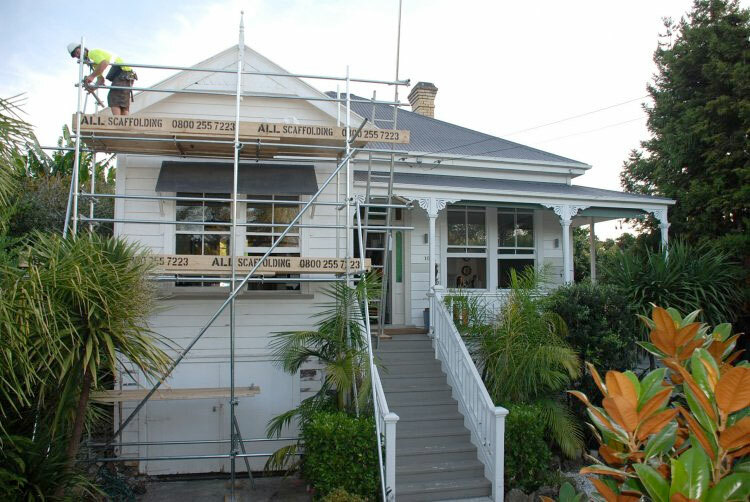 Located in Auckland we have a wide range of products including Aluminium Scaffolding. Residential from home handyman to license building practitioners we have been there to support anything from access scaffolds for unblocking spouting to total rebuilds . A cantilevered scaffold is an independent tied standing scaffold constructed in accordance with the Best Practice Guidelines but erected from cantilevered beams. Marine scaffolding is a very unique and specialised field of scaffolding. Every structure that is erected has to take in to consideration additional forces of the vessel rolling with the motion of the water and waves..
Industrial scaffolding can be required at short notice and even after hours. 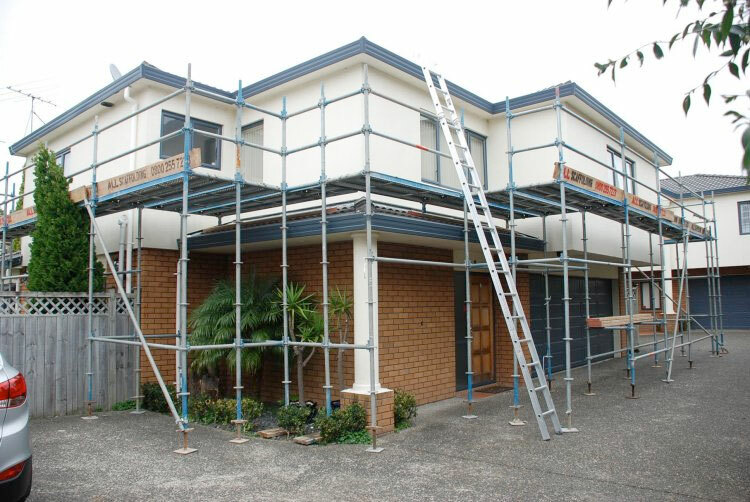 All Scaffolding will get you up and running again quickly. 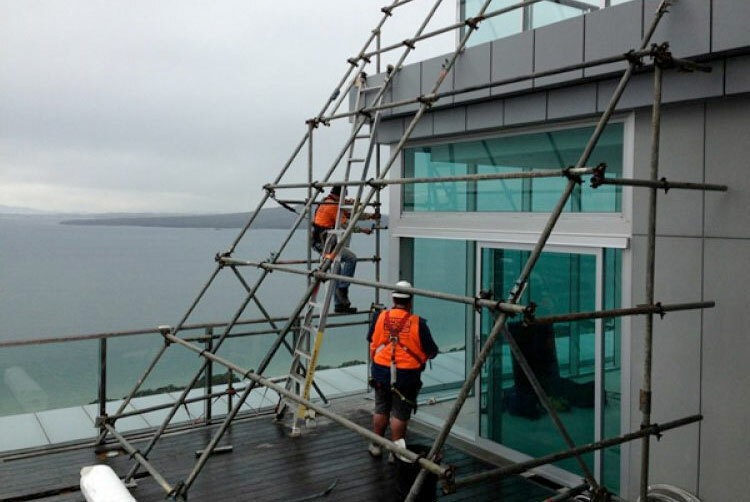 From quote, through erection, safety certification and final dismantling, Auckland-based All Scaffolding can competitively meet the needs of even the most challenging scaffolding installation. All Scaffolding proudly partners with Auckland's top tradesmen and contractors to provide scaffolding solutions to any scale. We pride ourselves on being a reliable, cost-effective, safety-conscious business partner. Due to a push from work safe NZ there has been a high demand for roof edge protection and we have been at the forefront as a supplier with our versatile tube and clip application. Dear Paul, Darrin and the team at All Scaffolding. We would like to thank you for your professionalism and help with putting up scaffolding for our 2015 school production of High School Musical. Paul came in a couple of weeks before the production started and was incredibly helpful and professional. His knowledge of theatre technologies and staging was essential when it came to translating the vision of two Drama teachers into a functional and successful set. Your patience with us was much appreciated! The crew that came in to erect and dismantle the scaffolding were incredibly professional and friendly. All of our dealings with Darrin via email were prompt and polite. We cannot recommend All Scaffolding highly enough. Thanks again for your help. If we need scaffolding in the future, we will be sure to contact you. Copyright (c) All Scaffolding Ltd. All rights reserved.